The history of gambling in the United States is almost a history of the United States itself. By following the key moments in gaming history in the US, you can see the major developments that have progressed in the country over the past couple of centuries. From the first settlers bringing card games and roulette to the desert mecca of Las Vegas, and the Internet revolution of the late 1990s, America has always been at the forefront of gambling. While many states still frown upon legit gambling, 2019 has never been a better time to gamble on the net in the USA. More states than ever are legalizing gaming, and Vegas continues to be the world's go-to place for a gambling fix. Gambling has been a part of US culture since the first pioneers headed west in search of gold and glory. Poker, or 'poque' as it is thought to have originated from, was a French card game brought over by settlers, as was roulette. Both games swiftly became mainstays of the American psyche in the 19th Century. With laws changing in Illinois and elsewhere around the United States, as well as advances in technology, riverboats began to populate the Mississippi and the Chicago River, ferrying gambling passengers and providing real money action to a rich populace. However, it wasn't until the early 20th century, and the generation of gambling centers like Las Vegas, NV, and Atlantic City, NJ, that Americans saw major gambling destinations across the United States emerge. Las Vegas has maintained its place (more or less) as the world's premier gambling destination, with the city going through a 'super casino' boom in the early 1990s, which saw bigger and bigger casinos being built. Despite the mid-2000s recession hitting Vegas profits, and a move to more sophisticated hotel complexes, LV shows no sign of losing its iconic status as America's spiritual home of betting. Vegas is still the home of the annual World Series of Poker (first held there in 1970) where poker players compete over 57 events for many tens of millions of dollars in prize money. Federal lawmakers have generally stuck their heads in the sand when it comes to gaming laws in the US, except for the Wire Act of 1961, which outlawed bets taken across state borders. But the online gambling boom of the late 1990s put Congress in a funny position: what to do about Americans living in states from Florida to Washington and California to Massachusetts enjoying real money betting on the net from the comfort of their own homes? Many sites appeared almost overnight in the late 1990s and early 2000s, both in the USA and overseas. They provided poker and casino games for real cash to American players, and banks were happy to process these Internet payments. Matters came to a head in 2006 when a piece of lawmaking seeking to prohibit money laundering at Internet gaming sites was rushed in on the back of the SAFE Ports Act. Congress had no choice but to pass a law, which the WTO even called illegal. It was called the UIGEA (Unlawful Internet Gambling Enforcement Act), and the passing of the act was one of the most significant events in USA online gambling history. While not outlawing the actual playing of gambling games online, UIGEA did make illegal payment processing at betting sites. Many global gambling sites left the US market altogether, while some, questioning the interpretation of the new law, remained and continued to take US bets. The Department of Justice's 2011 'Black Friday' raids shut down three of the biggest Internet poker rooms in the world simultaneously for flouting of UIGEA, and millions of dollars of players' money was seized. Despite the raids in the United States, the Department of Justice relaxed their interpretation of the 1961 Wire Act in late 2011 and ultimately that decision paved the way for some states to institute new gaming laws of their own (although states like Nevada had been eyeing up regulation for some years previously). Nevada was the first state to offer legal online gambling to its residents in 2013, with Delaware and New Jersey following suit. Pennsylvania is in the process of becoming the fourth state in the USA to allow major gambling sites to offer real money games, but the future success of these relatively small states lies in future "intra-state compacts". These will see states joining forces to allow residents to gamble with, and against, each other across thousands of miles. Laws in individual states vary, with some relying on archaic gambling laws on their statute books that neither outlaw nor allow online gambling and others banning any form of Internet gaming. In the newly regulated states, Nevada currently only allows poker online, while Delaware and NJ permit table games too. Fully legal, regulated web sportsbetting in America is some way off, however. Since UIGEA, some US senators, angry at what they perceived to be archaic and unconstitutional gaming laws, have attempted to introduce pro-Internet gaming bills to Congress. Barney Frank was for a long time a mover in the pro-legalized gaming camp, and some efforts have been made to distinguish legit poker on the web from sportsbetting and casinos, which have often been treated more harshly by lawmakers. Recently, some moves have been made to put a halt to any such efforts to legalize on a countrywide level, and the latest bill in 2019 seeks to overturn state-by-state legislation and specifically outlaw any Internet gaming in the USA. We’re confident the bill will never even hit the house floor. For now, however, the regulated states of Delaware, Pennsylvania, New Jersey and Nevada will continue offering regulated gambling on the net to residents. More intra-state pacts are certain, and 2015 could see further US states join the party. The online movement in the United States is another exciting page in the turbulent history of US gambling, and there is no doubt it will see more twists and turns as the years go on. The mobile gaming revolution is the next test of lawmakers' resolve as it becomes even easier to get your fix of poker, roulette or slots on the go. 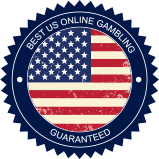 For a list of great legal gaming websites in the USA, check out our top reviews at OnlineGambling.us. Here we compile ratings and reviews of only the best rooms to give the honest, hard-gamblin' American bettor great deals.